This mask delivers a complex blend of hydrating ingredients to infuse critical hydration into the skin while delivering healing and soothing botanicals to improve the overall health of the skin. The abundance of mucilage in this botanical root has a soothing, calming effect on the skin. Inhibitory effects on hyaluronic acid degradation result in the maintenance of moisture levels. Peptide that increases skin moisturization and cell proliferation, and helps maintain skin barrier integrity. Described as a natural humectant, which is a substance that attracts moisture and holds moisture against the skin. Using a honey-based facial mask can prove beneficial to areas of skin that tend to become dry or itchy because it lends moisture to these areas. Dispense 1 tsp. 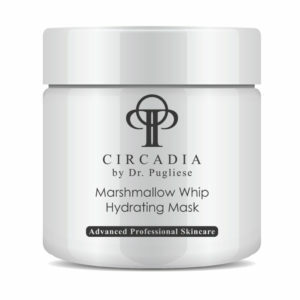 Marshmallow Whip Hydrating Mask into portion cup. Apply to face and neck with fan brush. Optional massage or hot towel application, leave on for 5-10 minutes. Remove with warm towel or 4×4 gauze. Pat skin dry.